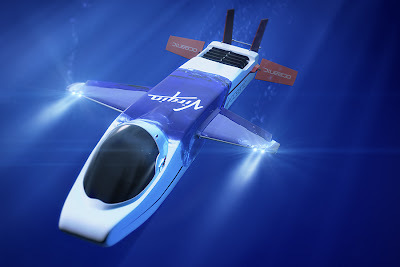 A concept drawing of Virgin Oceanic's new submersible. Credit: Virgin Oceanic. We are now at the cusp of a new era in deep-sea exploration. Over the past year, three commercial submersible operations have launched with the goal of exploring the deepest parts of the ocean. Part of this is due to advances in materials, and part is due to the interests of wealthy individuals. The billionaires and millionaires include Mr. Cameron, the airline mogul Richard Branson and the Internet guru Eric E. Schmidt. Each is building, planning to build or financing the construction of mini-submarines meant to transport them, their friends and scientists into the depths. Entrepreneurs talk of taking tourists down as well. These ventures will have clear benefits for the scientific community. Cameron has shared that he is looking to form long-term relationships with oceanic institutions, in addition to the fact that he was recently made a National Geographic Explorer-in-Residence. And Schmidt is solely focused on advancing science.